Susan's Disney Family: Experience superior Bose sound. Unlimited entertainment possibilities, with the new Bose family of smart speakers available at Best Buy! Experience superior Bose sound. Unlimited entertainment possibilities, with the new Bose family of smart speakers available at Best Buy! I think it is safe to say that most people now have a flat screen television in their homes. While the pictures and clarity are wonderful, there is usually something not quite right with the watching experience. What's that? The sound! Most flat screen televisions have cheap speakers that are actually in the back of the television. What's that mean? It means if the television is mounted to a wall or sitting on a stand close enough to one, that the sound isn't going to be clear and loud. The sound will just come from the television hit your wall and just get muffled. The speakers that are in most televisions are cheap and just an afterthought. I get that it keeps with keeping the look of your television pristine, who wants to see speakers jutting out from the sides or bottom of the television?! If you're like my family, you enjoy the picture and the sound equally. Who wants to watch a show or a movie and constantly ask "what did they say?" That is where Bose steps in. A leading brand in audio equipment for years, Bose has something that is really interesting for the new connected world in which we live. The Bose Smart Home Speakers with Bass Module and Surround Sound Speaker. This little unit packs a wallop of sound. This isn't a traditional home theater, this unit won't require drilling holes into your walls or floors to hide speaker wire, this is a stand-alone unit that is just as powerful as those that come with a million separate components and that require an engineering degree from MIT to figure out! 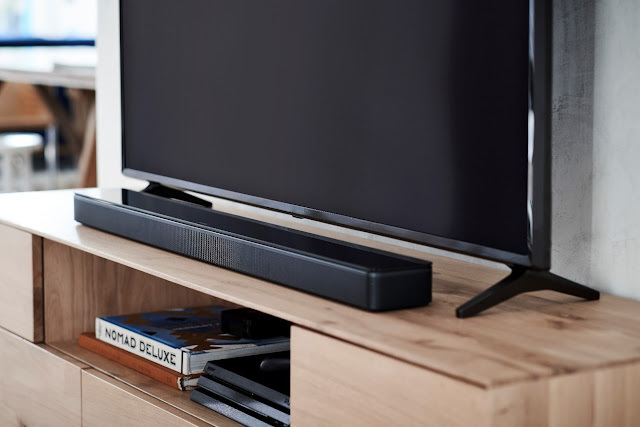 The soundbar fits discreetly under your television, its thin and sleek design are really great looking. No more need for bulky audio units that require a huge piece of furniture to store them in. And the really innovative thing is that Bose has made this unit compatible with our connected lifestyles. And you get surround sound quality with only 1 speaker! Clean and efficient. A part of this new generation of Bose smart speakers means that these new soundbars have built-in voice control for Amazon Alexa! That means you'll have access to millions of sounds that you'll be able to access and listen to on a superior sound unit and all you'll have to do is talk to your Bose speaker. Don't have Alexa? No problem. 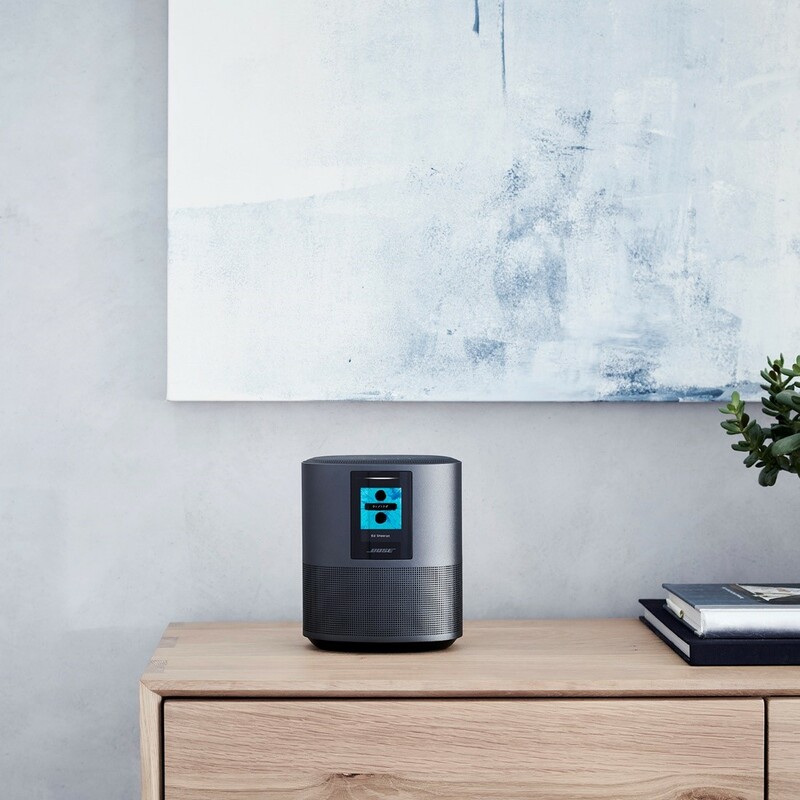 The Bose Smart Home Speaker is Wi-Fi and Bluetooth compatible as well, you can stream what you want, any way you want. Nice and simple. 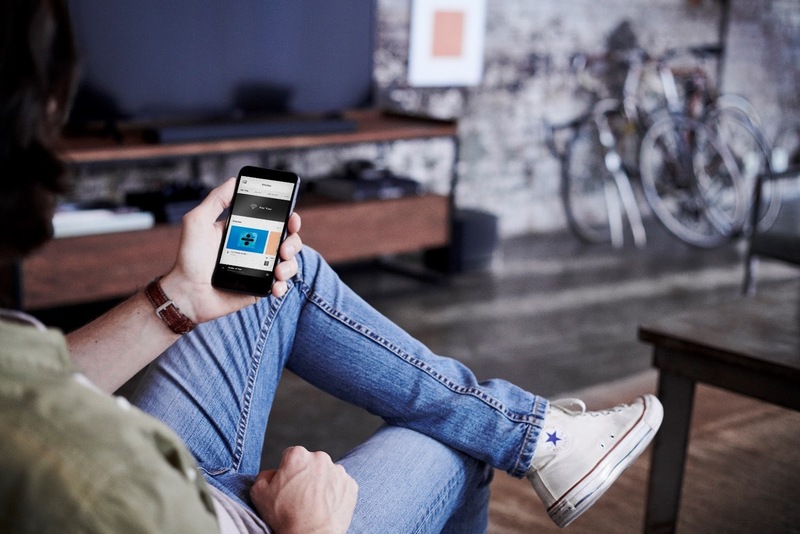 You'll be able to manage everything from the simple to use Bose Music App, it's just that simple. 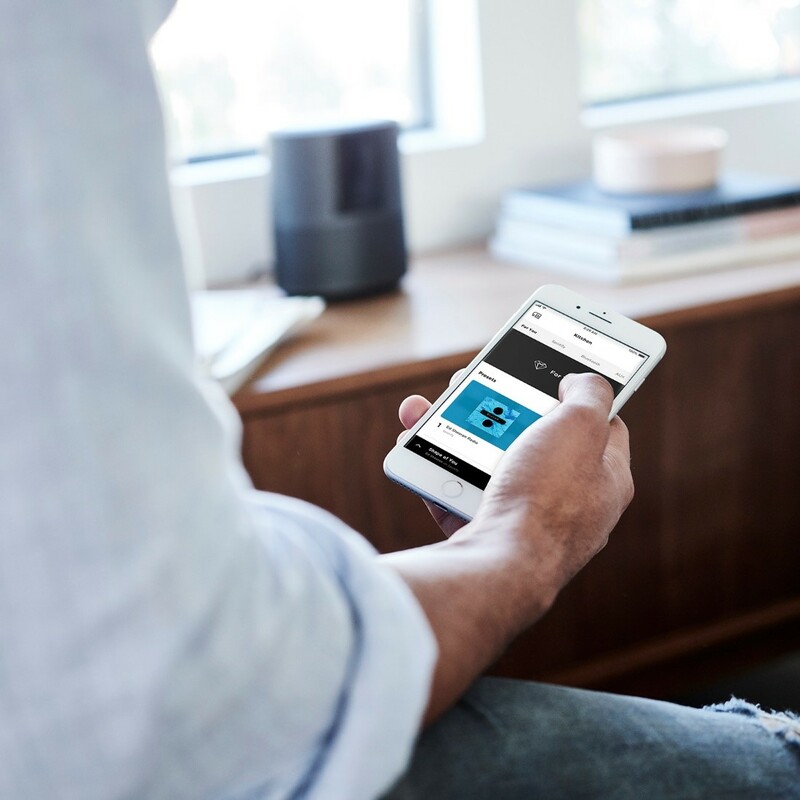 With software updates, new features will be added to make your Bose Smart Home Speakers even better! Do yourself the favor, if you've never had anything but the cheap little speakers that are built into your television, head on down to Best Buy and check out these new Bose Smart Home Speakers, the sound is awesome, your ears will thank you. You want to enjoy the total experience of watching things at home, right? Then go kick the tires on these Bose speakers, I guarantee you'll enjoy the experience of what awesome sound actually sounds like. A perfect Christmas gift for my husband. He has been complaining about the sound from our TV ever since we bought it. So true about flat screen TVs! I hadn't really given it a lot of thought but it sure makes sense. WE aren't a huge TV family but we do love movies. I'm thinking the Bose Smart Home Speakers just might be an awesome Christmas gift for my husband AND my two grown sons. Thanks!! We are a Bose family, too! Such great, quality products that deliver an awesome sound experience! I have to look into this. Bose has always been the best at sound, and I love how they're bringing that without all the traditional bulk of tons of speakers.